Over the past decade, technology has revolutionised the ways of selling and buying. Numerous online eCommerce marketplace companies have made human lives easy, by allowing them to purchase anything from anywhere with few clicks on a personal device. eCommerce is among the largest growing industries on the mobile and web platforms. According to survey by Flurry, shopping application category is faster growing compared to that with other categories. Wish Mobile Application connects customers and merchants across the globe. There are around 40 million products on sale by 100,000 merchants. 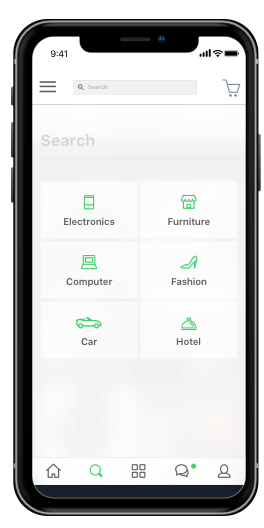 Mobile App customers can find products such as, clothes, bags, accessories and more with the 50-80% price lower than average. Some products are unique, which you might not come across on Walmart’s shelves. Wish deducts 15% of price from each product sale. The reason behind the extra 15% price is for exceptional service Wish provides to help customers with eCommerce processes. 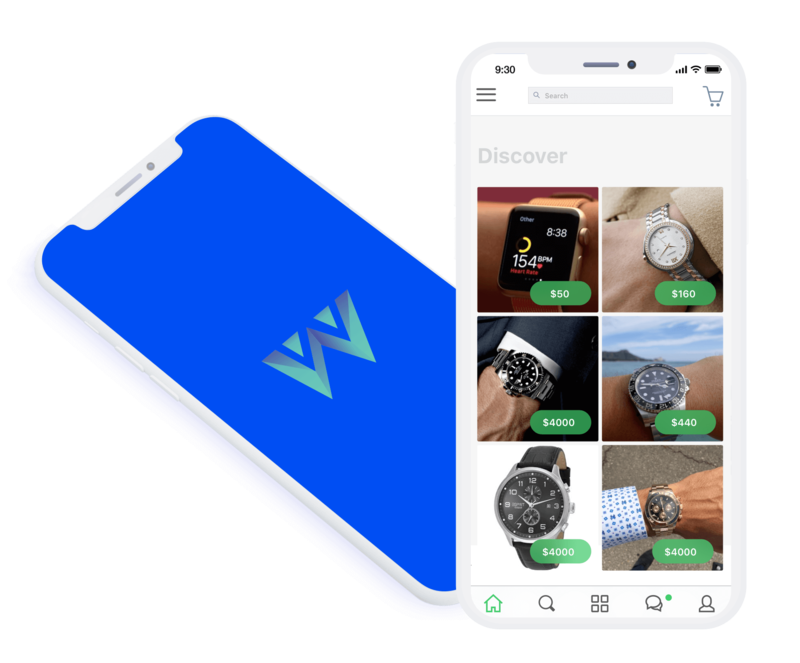 Want to develop eCommerce marketplace app like Wish? Leverage 360 Degree view of products on mCommerce mobility solution with Let’s Nurture’s experienced mobile app developers. Since touching and feeling is not possible online. To mimic that experience of touching and playing around with products on mCommerce mobile application, enable 360 spin views. Empower customer’s confidence, gain the competitive edge and convey the quality of service. Our chatbot developers build chatbots that can be the icing on your cake. How? Chatbot speeds the process and brings the sales for your mCommerce business. Chatbot will help customers buy a product from your mCommerce mobile application. Chatbot helps deliver unique Ecommerce marketplace experience to users. Let Siri, Alexa, Google Assistant and Cortona help your customers buy products from mCommerce store with voice command. Hire our experienced google home developer or alexa skill developer to integrate to your mobile application to speed up booking and generate more revenue. How Let’s Nurture can help you to develop eCommerce marketplace app? Let’s Nurture is an ISO 2015:2009 certified eCommerce marketplace app development company. Our Android/ iOS app developers, business consultants, web developers and designers are savvy of business ideas across all industries. Their understanding of client requirements help in delivering a quality product with flawless UI/ UX with best-in-class features. Are you looking for your own mCommerce or a marketplace eCommerce App Development? Is it mandatory to have an Ecommerce website developed for marketplace Ecommerce app development platform like Wish? What would be the cost if I also want to have an Ecommerce website with this Ecommerce app development? We definitely will help you in developing a quality, robust and secure Ecommerce website. 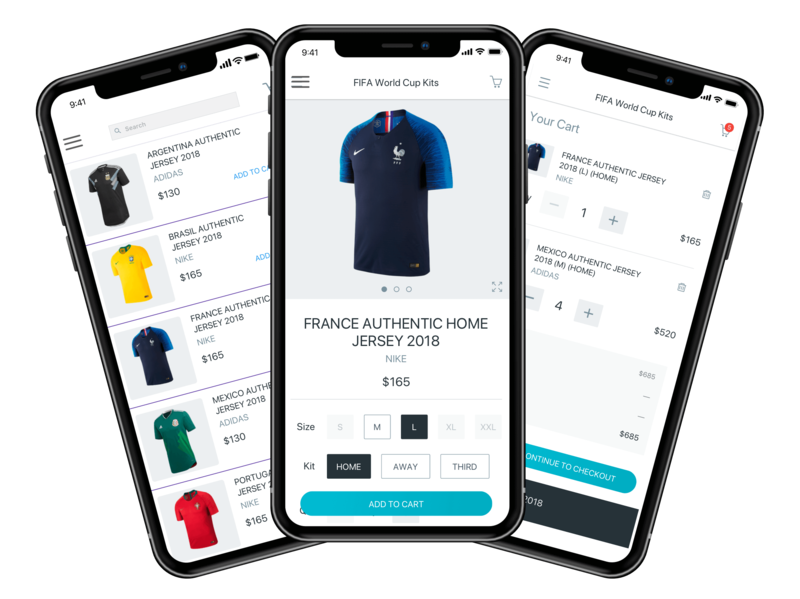 The website development for an Ecommerce app like this will cost in the range of $6000 to $7000 in addition to the estimate given in the content for the mobile app. Would there be a provision to export/ import data of products for admin users? Yes, we will provide the feature from which you can export and import .csv files to add bulk product listings to save time. As well as it also will help admin in doing bulk changes regarding prices, images, titles, etc. as a upon market research. What are the payment integration gateways which you will implement to my Ecommerce platform like Wish? Normally, we ask our clients to let us know with which they want to go ahead. This depends on the popularity and generic acceptance among the community. From our experience of 10+ years in mobile app development and website development, we recommend PayPal and Stripe as Payment Gateway Integration platforms. The most popular form of payment gateway is PayPal which is simple, secure and customisable. Stripe is also another one that is popular in USA and Canada. Should Ecommerce app development project booking require full payment in advance? Should my Ecommerce app platform like Wish have a feedback submission module? Yes, of course. While having an Ecommerce or a marketplace app, it is very important to include a feedback submission module. It increases the reliability and goodwill between the customers and the owner. Do you provide maintenance support? If yes, for how many months? We provide AMC (Annual Maintenance Contract) services on a case-to-case basis at 10% of Project cost. Will you launch the app on App Store and Google Play? Yes, it is already provided as a part of our service agreement. Have an !dea or need help with eCommerce marketplace like wish?